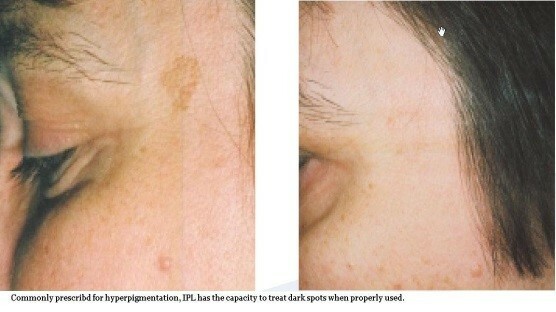 Is a Consultation and a Test Patch required for IPL Photo Rejuvenation Treatment? A consultation and test patch is always required to determine the possible realistic achievable results for Photo-Rejuvenation. 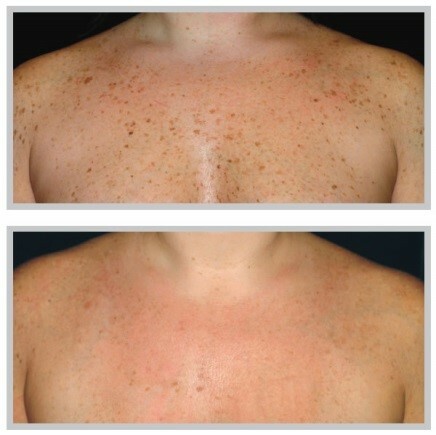 A special cool laser gel is applied to the skin being treated. A test patch is performed using only a few shots, (normally 6 to 8 shots) is adequate. The gel is taken off the skin using a tissue. 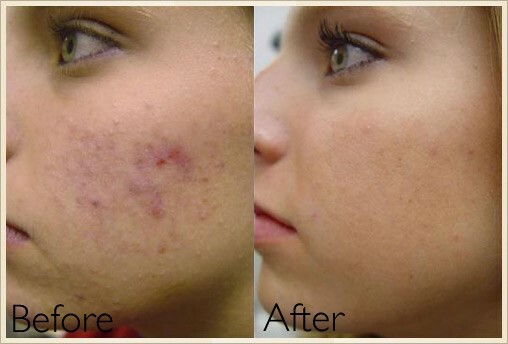 A special laser soothing gel is applied to keep the skin hydrated. 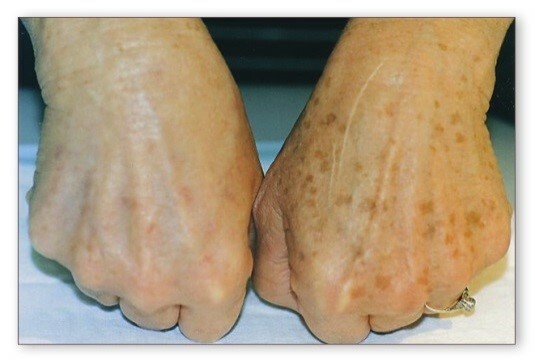 The response to any laser treatment is variable and depending on your skin type you will need to return 1 week (or on darker skin types 6 weeks) for a further assessment of the treated area before your course of treatment begins. Each time you visit our laser clinic you will be asked if there are any changes to your original consultation or are you taking any medication that may affect your laser treatment. You will feel a momentary sensation of mild heat through the laser treatment head, the setting is regulated and generally the feeling of the mild heat is gone in an instant. The light that we use is very bright and we give you dark laser glasses to wear to protect your eyes. Most people find that it is the light and not the sensation of the mild heat which they notice. 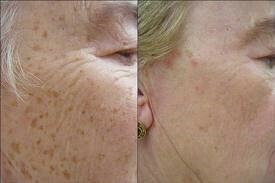 Your skin may be slightly pink after the treatment but if it is it will be gone in a few minutes. 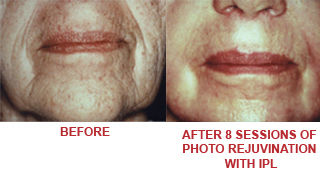 For best results, normally a course of between 6-10 treatments are required. 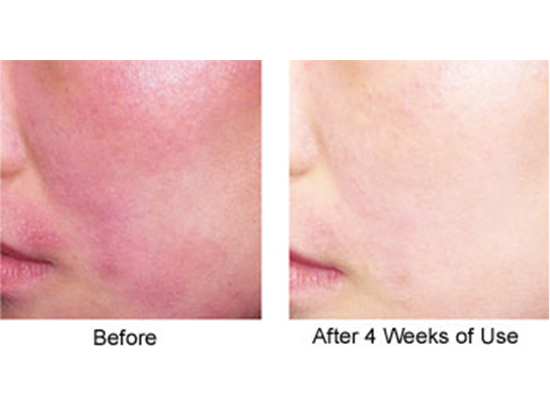 A gap of three weeks is left between treatments (three weeks is considered the period where collagen production ‘peaks’ following a treatment. Appropriate homecare products should be used to help keep the skin moisterised while the treatments is still firming the skin through new collagen production until your next treatment. You may feel the need to return within 40 to 90 days to have a top up treatment if required. And you may want to repeat the course 2 years later. Everyone from the age of 16 should always use the appropriate skin care products for your particular skin type and perform your home skincare regime of cleanse, tone and moisterise twice daily. Sun block should be worn at all times. The Treatment takes about 30 minutes (face) and one hour (Face, neck, hands) to complete and is performed at three weekly intervals. When can I expect to see the results of my treatment? How long do I have to avoid make-up after my treatment? Mineral make-up can be applied straight after a treatment; however conventional make-up must be avoided for 24 hours. 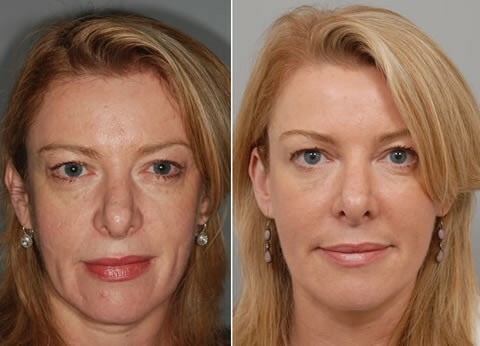 In Clinical trials photo rejuvenation has shown to reduce the age of the skin by 2 years for each session and 5 sessions have shown a reduced skin texture of 10 years. How can I prolong the effect of the treatment? Eat a healthy balanced diet and supplement with a high quality vitamin. Avoid the sun or sun beds for 4 weeks before and 4 weeks after each treatment and use Sun Protection cream at least a factor 35 + or even better a total sun block on the area being treated. Water helps flush away toxins and it is important to drink pure water (not fizzy water) for optimum results. Other beverages such as tea, coffee and soft drinks contain caffeine in addition to sugar so try to reduce your intake of tea and coffee and drink more water. Remember water hydrates the body and is good for you.